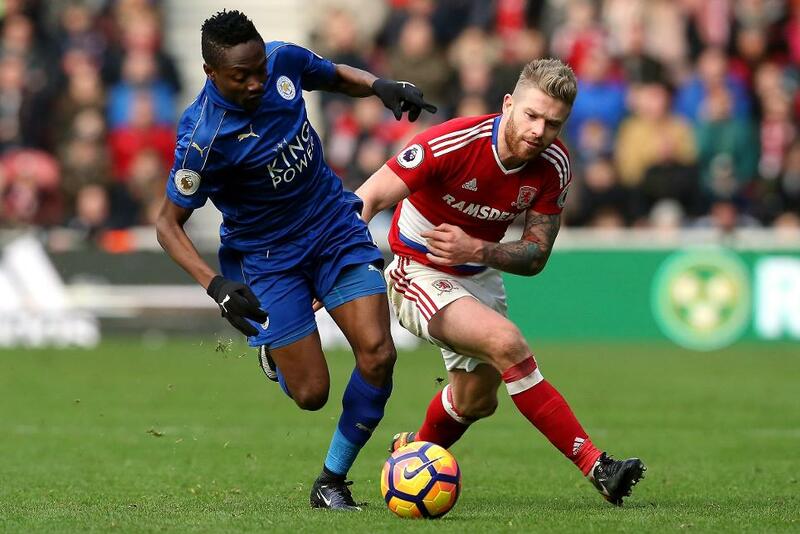 Leicester City produced a stubborn defensive display to frustrate Middlesbrough in the two teams' opening match of 2017 at the Riverside Stadium. Chances were at a premium in the opening period, Andy King's free-kick being saved by Boro goalkeeper Brad Guzan and Marten de Roon having a shot deflected over. Boro pressed forward in the second half, with substitute George Friend shooting wide after dribbling through the Foxes defence, while Gaston Ramirez pulled the ball wide from eight yards out after collecting Wes Morgan's clearing header. King had a late header saved for the visitors as both sides had to settle for a point. Leicester are still searching for their first PL away victory of the season and sit 14th. Middlesbrough, meanwhile, are two points behind in 16th.